Floppycat enjoys catching the wind and flying about to the next adventure. Fluffy and sweet marshmallow compliments the dark and bitter cocoa. It's hard to move when sunbathing is your job. Jooby sunbathes to power up, and is a pro at storing energy. Pearl's persistence in trying to motivate Jooby is met with equal resistance. Rocky's sharp edges make for Jooby's favorite pillow. Daikon, Ninjin, Radish, and Ginga. Grown on a ninja farm, unknowingly all have received battle damage. Daikon always asks for reciprocation, her favorite ask is for someone to scratch her back. Ninjin's anxiety seems to get the best of her. Radish has a small man complex, and always carries a chip on his shoulder. Ginga feels left out because he doesn't have a bushy green top. 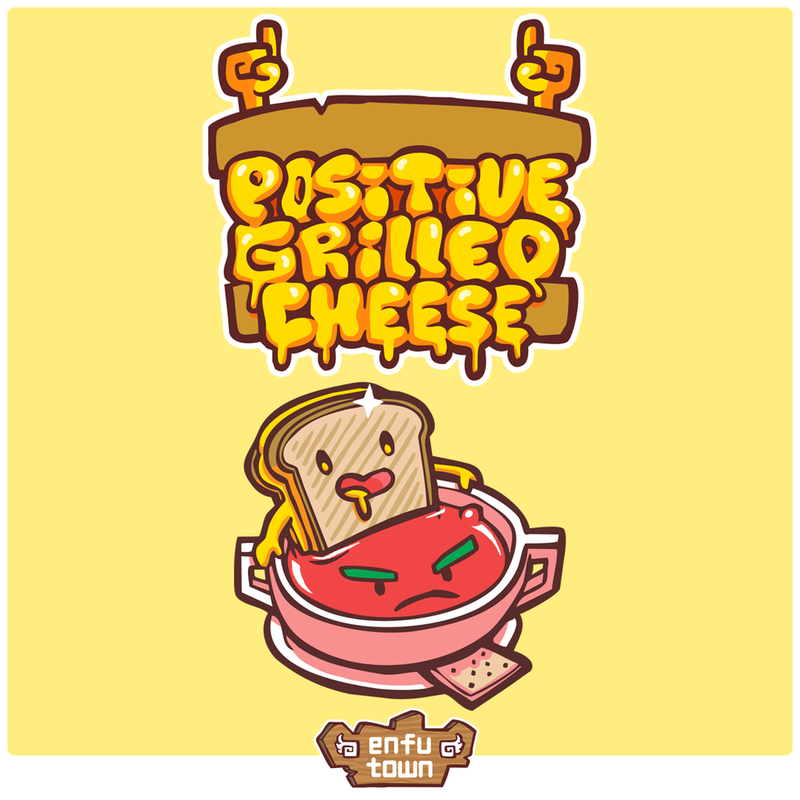 Positive Grilled Cheese: Lifelong cheerleader. Salty Tom: Annoyed with the cheesy. Bob the astronaut just got his lifeline cut. Neko Bako Chan finds her box the perfect fit.